Easily and privately connect with your medical provider over your mobile phone. Register today, it's free. 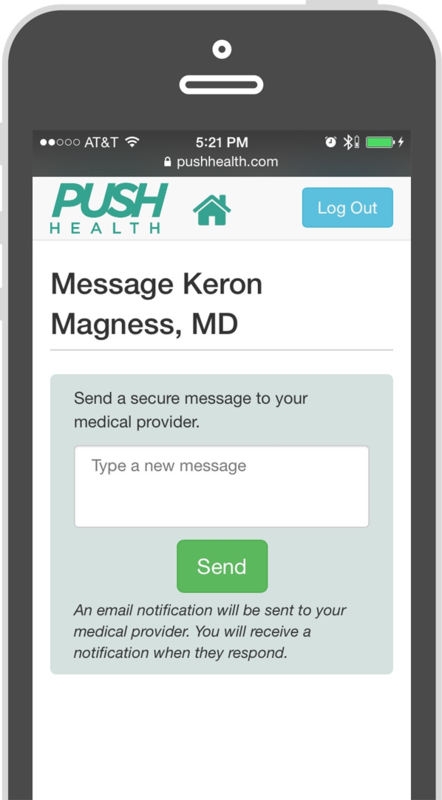 Privately connect with your medical provider to begin using Push Health. 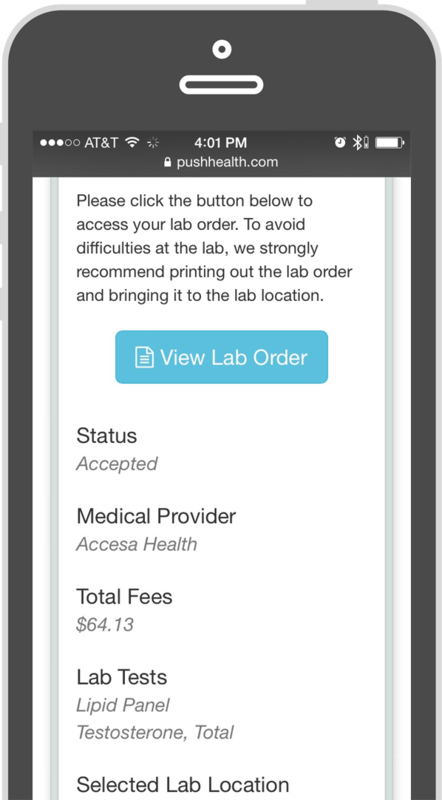 Securely message your medical provider or make specific prescription or lab requests. Pick up your prescription at your preferred pharmacy. No drop-offs, and no waiting around. 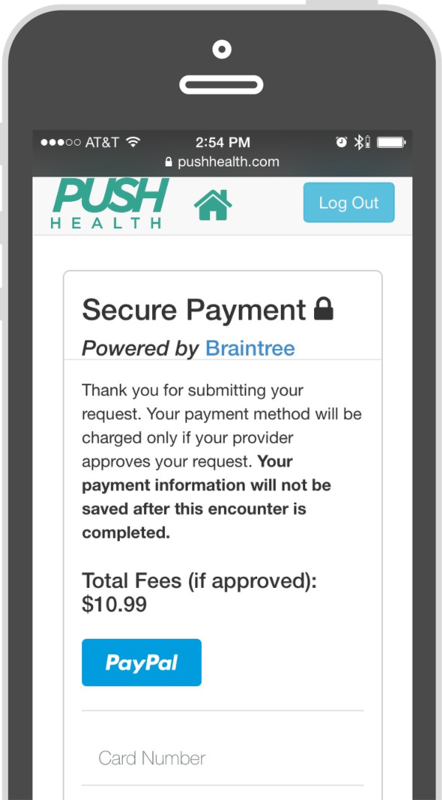 Push Health makes it easy to request medical care when you need it, where you need it. Automated notifications for prescriptions and lab results helps put your mind at ease. You can send a secure message to your trusted medical provider when you have a need. Push Health is 100% transparent. All fees are clearly displayed before you approve any service. Payment is simple with PayPal, a major credit / debit card, or a Health Savings Account. Your medical provider works hard to provide great care. Some may charge a fee, while others may choose to waive or even donate their fee. The bottom line is great health care doesn’t require insurance, and what you pay is always clear. Nobody likes to be trapped in a hospital, and neither do your health records. 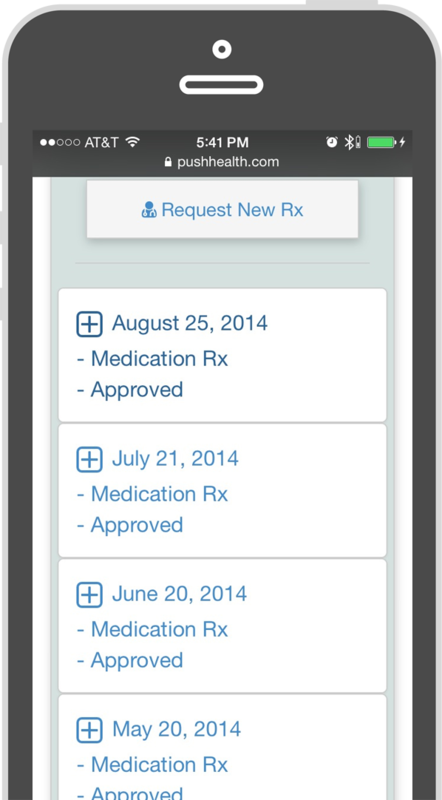 Access your prescription information, lab results, and secure messages anytime from any device. 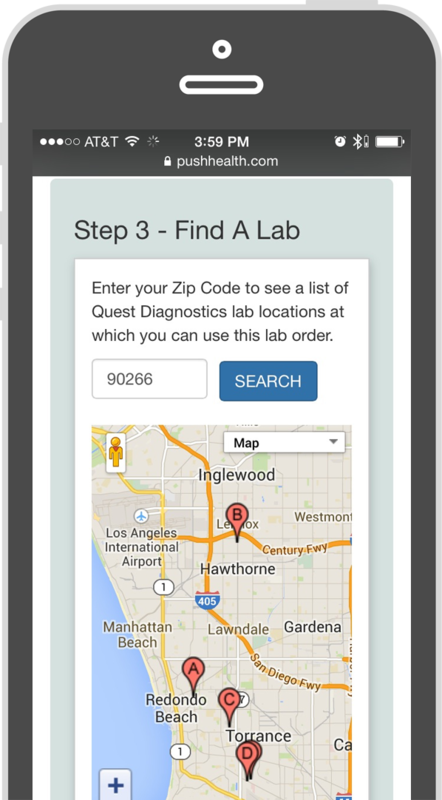 Push Health is integrated with the largest US lab company, Quest Diagnostics, to deliver seamless access to top quality lab testing at affordable prices. 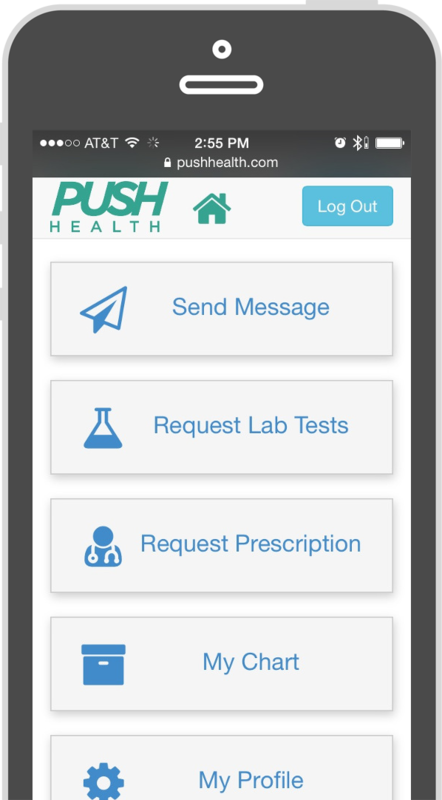 Order from your phone, visit a local testing center, and get your secure results through Push Health. Click here to open this in a new window.